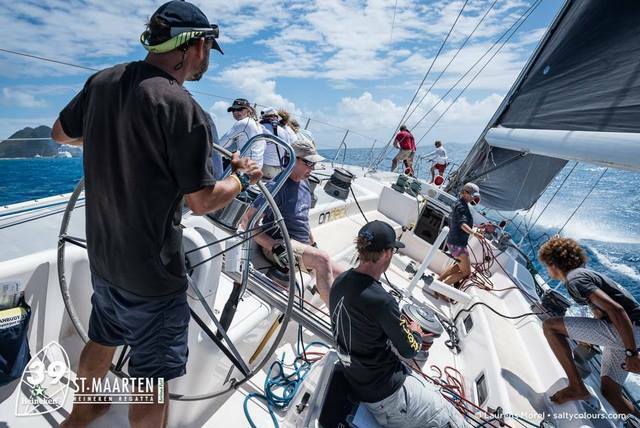 With near perfect conditions, the start of the 39th St. Maarten Heineken Regatta saw the fleet streaming out through the bridge in time for the race starts. Boats set their sails as they headed towards the three separate start areas. 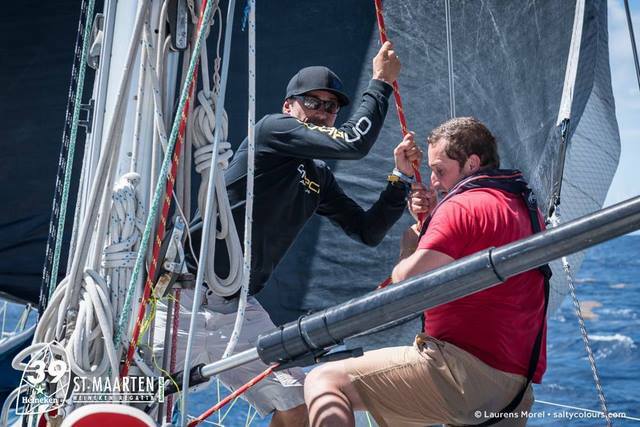 The wind, which had been fairly steady at 14 knots, piped up, sending some 20 knot gusts through the fleet, making for some white knuckle excitement amongst the crews. Starting slightly later at 10.30am, the two Maxis classes, the Offshore Multihulls, and Ocean Racing class 1 and 2 were circling around the moored superyachts, waiting for their starting sequence to get underway. The maxis got a clean start, taking a short leg to windward before turning to starboard and setting off on 7 mile beat up to a mark set right at the northern end of the island, giving a massive downwind leg through the Anguilla Channel, before turning back towards St. Maarten and the Heineken finish after a blistering 26 mile long race. Fling 16 showed the fleet the way to go, with Selene close behind. 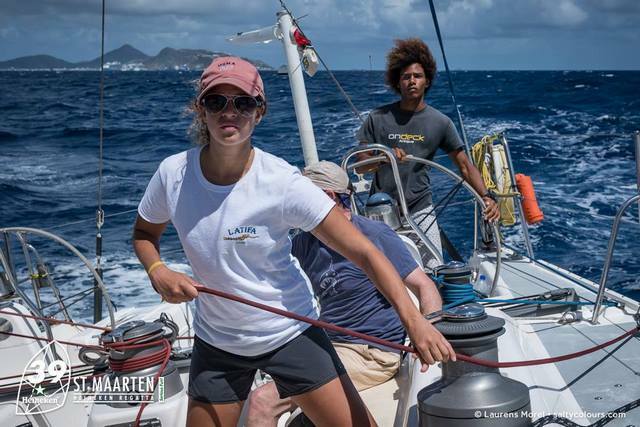 While the maxis peeled off to the western side of St. Maarten, the Ocean Racing fleets continued beating past Philipsburg and out to the east, on an 11 mile beat, out to a turning mark and back, resulting in a 38 mile race. 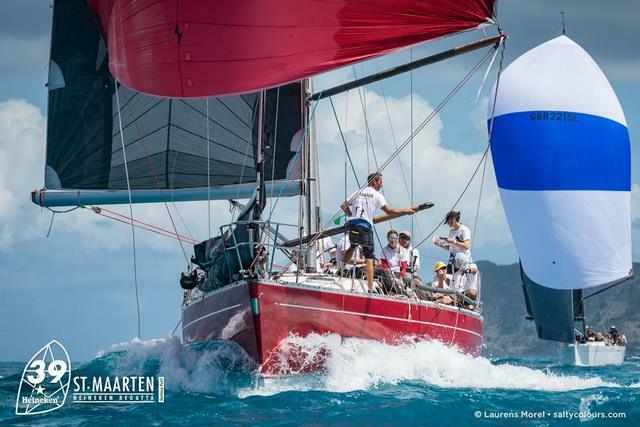 Around in Marigot Bay, the ORC Performance fleet, along with the CSA classes 1, 2 and 3 had been set a windward leeward course which led to some extremely close competitive racing. Ross Applebey of Scarlet Oyster saw his boat’s performance improve after what he admitted was “a slightly scrappy first race.” He said, “We probably needed a bit more training before the first race, but after a good debrief between races, we got into the lead to the first mark, had a good gybe set, and then held it to the finish. There were eight boats all together round the first mark, making for great close racing.” With tight racing throughout the fleet, there were spectacular downwind legs for the fast displacement boats, with Lazy Dog being far from lazy, taking the gun in both races. Ker 46 Lady Mariposa, achieved what was described as ‘the best start of the day in the ORC Performance fleet. According to the race committee on the start boat, Lady Mariposa hit the line at full speed, with her bow hitting the line on the bang of the gun, without an inch to spare. Jesper Bank, Olympic Gold Medallist in the Solings in 1992, 2000 and Bronze medallist in 1988, said; “Actually, we were a little bit more hectic at the start than we should have been, but yes, we did get a great start!” Lady Mariposa’s form showed, with final results after two races putting her in first place with 2 points, ahead of Godspeed Sail Racing Academy sitting equally with Aquis Granus, each with 5 points. A unique feature of the St. Maarten Heineken Regatta is that all classes finish at the Heineken mark, close to the famous lifting bridge into the lagoon and the Port de Plaisance Marina where the majority of the boats are moored. By 3pm, the boats were lining up to get through the bridge, with the customary celebrations, dancing and fancy dress to entertain the crowds, many with a welcome cold Heineken in hand! With the results coming through promptly on www.heinekenregatta.com it was Fling 16 in the Maxi Class 1 who took line honours and first place overall, with Selene second, Varsovie third and Umiko fourth. 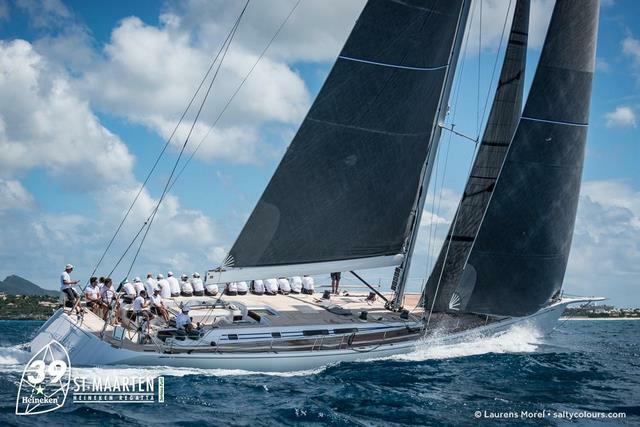 In Maxi 2 class, Eliza Vastgoed took first place from Spirit of Juno in second, with Zampano in third. 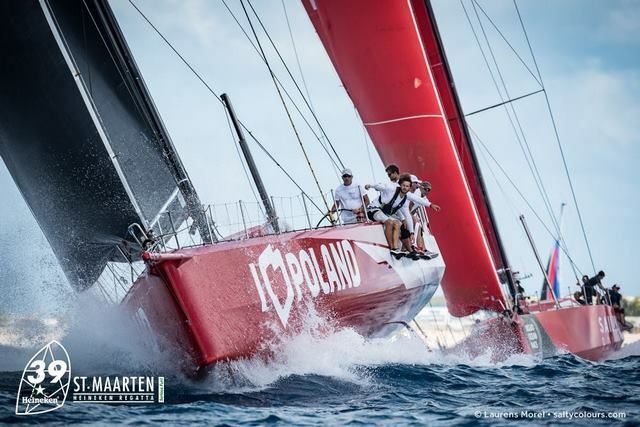 In the Ocean Racing class, it was Volvo Open 70 I love Poland who narrowly took the lead from Ambersail in second, with Sailing Poland in third place. There was a closely fought battle in the 12 Metre class, with Stars & Stripes 86 narrowly gaining the advantage over Canada II. Full results of all classes can be found at www.heinekenregatta.com.